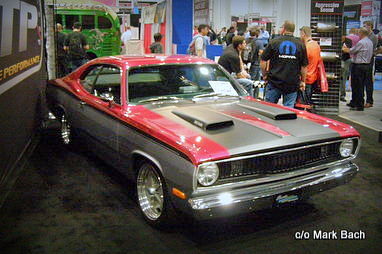 SEMA 2013 ran from November 5 to November 8 and it met all expectations. 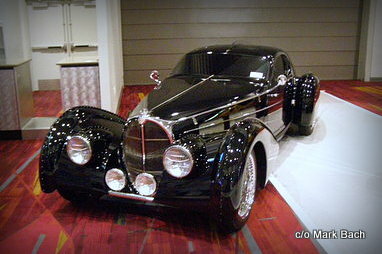 This is the biggest showcase of automotive tech on the planet and it’s held in Las Vegas. The best builders, suppliers and services in the car hobby are featured in this incredible show. Mark Bach is a veteran of this event and he filed this piece for MSCC to explain the widespread appeal of this massive car-guy event. “I’ve been able to attend the SEMA (Specialty Equipment Manufacturer’s Association) trade show held in Las Vegas, Nevada for years and wouldn’t miss it for anything. This is their 47th annual exhibition with over 2,500 exhibitors displaying their latest wares in over 2 million square feet of indoor space. You have the major car manufacturers displaying wild one-off concept cars next to a stock, factory fresh unit. In fact the Ford display is known for totally revising their display each of the four days of the show! Over 130,000 professionals will visit the booths over the four days of the show. This year the show kicked off on Tuesday November 5th and runs through Friday November 8th. Just when you think that every possible car part has been thought of and made, over two thousand new products show up at the SEMA New Product Display area. Judges had the difficult task of selecting winning entries in nearly twenty categories. Sure some may just be a slight improvement and upgrade for the 2014 models, but often you have brand new products and designs that you just have to order and buy. 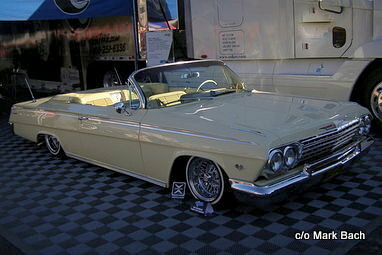 Of course the display booths work hard to draw you into their booths with celebrities, gorgeous models add drop dead vehicles; typically highlighting the vendors’ products. Besides NASCAR and NHRA drivers, you have car builders, TV personalities and some” B list” folks to sign posters, t-shirts and fan cards. You end seeing more tire companies than you knew existed, and more bling in wheels with outlandish sizes and lips. 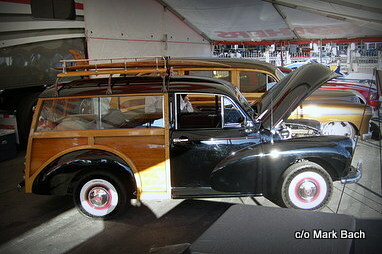 From classic cars to “donks”, from super cars to pedestrian “grandpa” cars, everything is at SEMA. All the car magazines are there too. Not only promoting their various issues and mastheads but meeting industry leaders for story ideas, car profiles and meet with the up and coming builders.Given the lead time for printed magazines, you’ll see the coverage in early 2014. Because this is a trade only convention, the general public is not allowed into the show. 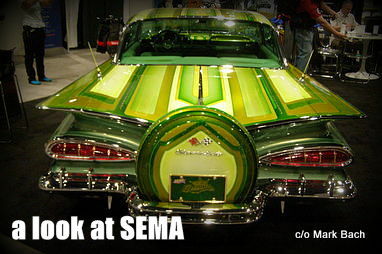 The whole intent of SEMA is to connect the manufacturers with the businesses that buy and display automotive wares and get money exchanged with sales orders and handshakes. But on the outside there are hundreds of cars on display, available to admire and drool over for free. A little known secret is across town at the Sands Convention Center, the AAPEX -Automotive Aftermarket Products Expo – is also being held.Both events are part of Automotive Aftermarket Industry Week, and collectively this is the second biggest convention that is held yearly in Las Vegas. But AAPEX is a bit more designed for the small hands-on maintenance and collision shops and features less flash and chrome. 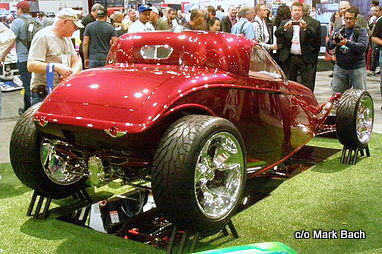 Still AAPEX attracts over 2,400 vendors; some of whom are simultaneously displaying at SEMA too. 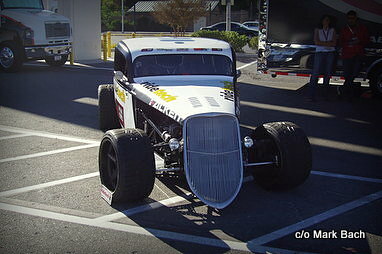 A personal highlight is attending the NHRA – National Hot Rod Association – breakfast and hearing some behind the scenes stories from some of the legendary drivers and racing figures. Having John Force present this year, after just winning his 16th National Mello Yello championship, should be downright entertaining. He’s one driver that can’t stay subdued. Plus he’ll be signing autographs earlier at both the Castrol and Traxxas booths. Plus the after hours are filled with parties, vendor cocktail hours and special exhibitor promotions. Chevy held a press party on Monday to give us a chance to see the cars headed for their display floor, up close and personal.They typically bring out a treasure trove of celebrities to tout their vehicles; in the past folks like Dale Earnhardt Jr. and Tony Stewart appeared.This year Jeff Gordon, fresh off his win at Martinsville, was present. 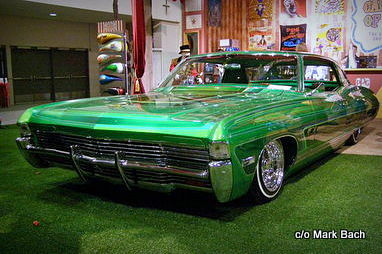 On Friday as the SEMA Show winds down, the display cars leave the convention center during the SEMA Cruise and park at a lot nearby for the general public to admire up close. It is also a chance to see which cars actually can move under their own power and how they sound. But perhaps the best part of the SEMA experience, is similar to any local car show.You get the chance to start or renew friendships with fellow car enthusiasts. You see awesome cars and have an overload of car parts, car stories and car people is what SEMA shares with your neighborhood car show! MSCC would like to thank Mark for this piece-if you like this then check out his site. 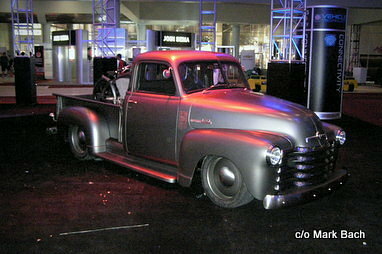 Route66pubco.com.